After the first round of UEFA Champions League, the Premier League action returned to its manifold. The week saw many ups and downs, shock defeats, the clash of titans and some teams continuing their ruthless attitude against their opponents. The first match of the week, Manchester United vs West Ham United was an absolute shock to the Manchester United fans. Manuel Pellegrini’s side thrashed Manchester United 3-1 in their home. Fans expected an absolute one-sided fixture in favor of Manchester United. However, it was not The Red Devils side. In the second elite fixture of the week, Arsenal faced cruising Watford F.C. However, with the help of an own goal and Alex Iwobi’s excellent display, Arsenal registered the victory by a margin of 2-0. This was Arsenal’s fifth continuous victory in this season after their stumbling start to the season. Everton registered the victory against the newly promoted side, Fulham with a big scoreline of 3-0. Gylfi Sigurdsson’s double strike and Tosun’s solitary goal helped Everton to register the victory. After their Carabo Cup defeat to Chelsea, Liverpool were expected to make the big noise. However, Eden Hazard’s sublime finish silenced the Reds in the 25th minute. Sturridge came on in the 86th minute in place of Milner, and just 3 minutes later scored from a stunning strike to equalize for Liverpool. Manchester City were up against Brighton at Etihad after their midweek Carabao Cup win over Oxford. 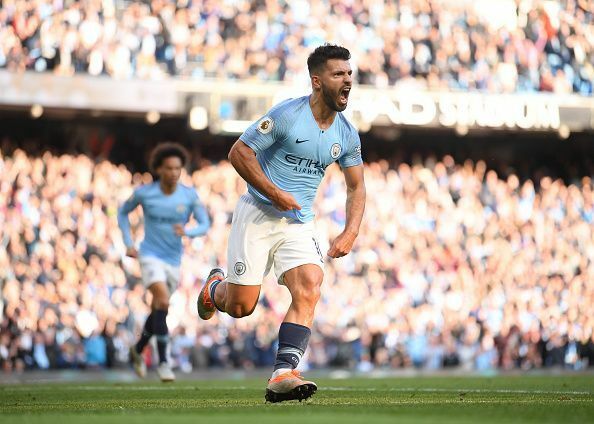 Twin strikes from Sterling in the 29th minute and Aguero in the 65th minute handed Manchester City a victory against Brighton.